The main goal of the Federal Housing Administration (FHA) is to improve the housing market and protect lenders if the borrower was to default on their mortgage. 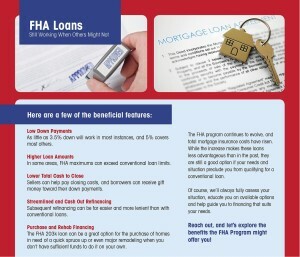 The FHA was created as a part of the National Housing Act and later became a part of the Dept. if Housing and Urban Development. The FHA has grown to become the biggest insurer of mortgagees in the United States. The Richard Woodward Mortgage Team is proud to offer excellent rates and flexible financing options on all Plano, Richardson, and Garland Texas FHA Loans. A Plano, Richardson, and Garland Texas FHA loan can be used for a number of different purposes including but not limited to: refinancing an existing mortgage, renovation projects, purchasing a new home, and even reverse mortgages. Streamline refinance loans are available to reduce interest on current loans in Plano, Richardson, and Garland Texas. Plano, Richardson, and Garland Texas FHA loans offer relaxed credit requirements making their easier to qualify for then other loans. Buyers could qualify for an FHA loan with a 3.5 percent down payment of purchase price and a credit score of at least 580. In the instance a buyer does not have adequate savings to cover down payment, family members can gift the money. 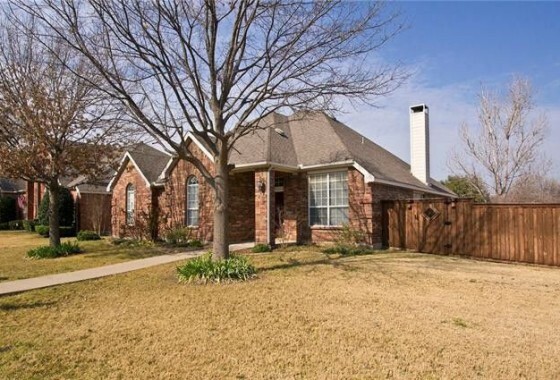 FHA loans are very popular among first time homebuyers in Plano, Richardson, and Garland Texas. The Richard Woodward Mortgage team also provides assistance with a program allowing you to get down payment assistance, call us today to find out how. – Down Payment: A down payment of 3.5 percent of purchase price is required. However, borrowers with a lower credit score could potentially qualify with a higher down payment. – Income Requirements: A debt-to-income ratio of 43% or less is generally required. A debt-to-income ratio of 55% could be approved in unique circumstances. – Credit Score: Typically, the minimum credit score required is 580, as noted above borrowers could still potentially qualify with a lower score and higher down payment. – Property Requirements: Properties purchased through the FHA Loan program must meet certain safety, soundness, and security standards. There are two mortgage insurance premiums (MIPs) that are required with all Plano, Richardson, and Garland Texas FHA loans. The first is a monthly insurance premium that falls between .80 and .85 percent of loan amount. The second is an up-front premium of 1.75 percent and changes based on the financial wellness of the FHA program. The Richard Woodward Mortgage Team is committed to helping our clients with all of their Plano, Richardson, and Garland Texas FHA loan needs. If you are purchasing your first home, or are looking to refinance your current loan, we can help. Contact us today at (214)945-1066 or click here for any questions you may have on Plano, Richardson, and Garland Texas FHA loans.